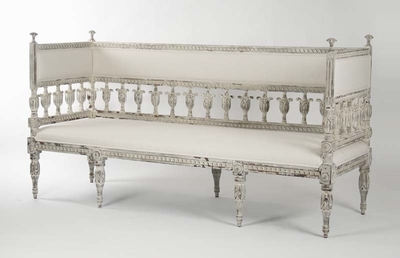 ISABEL BENCH -One of our most elegantly styled pieces, the Isabel Bench is European influenced. 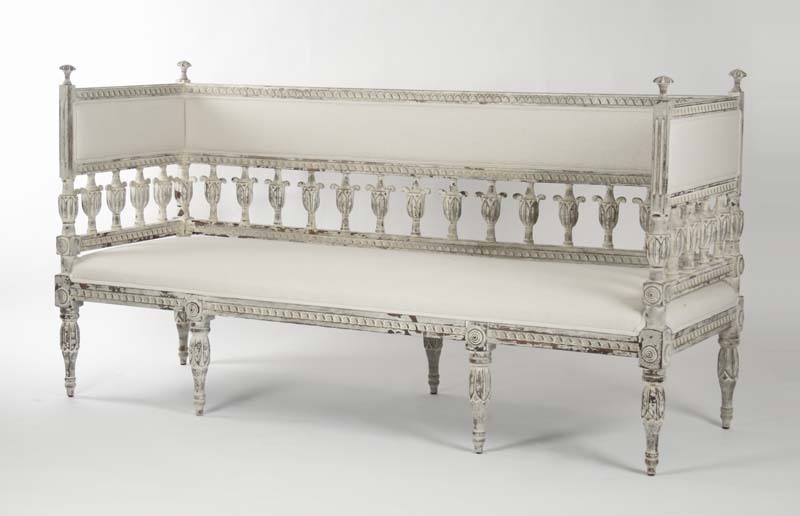 This white toned bench is created from birch wood. Dimensions: W 71" x H 35" x Depth 23"